Home Health Stem cells the new Viagra? Stem cells the new Viagra? Transplantation of mesenchymal stem cells cultivated on the surface of nanofibrous meshes could be a novel therapeutic strategy against post-prostatectomy erectile dysfunction (ED), conclude the authors of a study which is to be presented at the 28th Annual EAU Congress later this week. The study was conducted by a group of Korean scientists and will be awarded 3rd prize for best abstract in non-oncology research on the opening day of the congress. During their investigation, the group aimed to examine the differentiation of human mesenchymal stem cells cultivated on the surface of nanofibrous meshes (nano-hMSCs) into neuron-like cells and repair of erectile dysfunction using their transplantation around the injured cavernous nerve (CN) of rats. “The objectives of the study reflect a very pertinent need in today’s urology practice,” said the lead author of the investigation Prof. Y.S. Song of Soonchunhyang University School of Medicine in South Korea. “Post-prostatectomy erectile dysfunction results from injury to the cavernous nerve that provides the autonomic input to erectile tissue. It is a common complication after radical prostatectomy which decreases the patient’s quality of life”. “Although advances in equipment and surgical techniques reduce this complication, patients still experience erectile dysfunction after radical prostatectomy,” he explained. Treatment of phosphodiesterase 5 inhibitors shows insufficient effectiveness in the treatment of post-prostatectomy ED and it is believed that the transplantation of stem cells cultivated on the surface of nanofibrous meshes can promote cavernous neuronal regeneration and repair erectile dysfunction. In the course of the study, the synthesised polymer was electrospun in a rotating drum to prepare nanofibrous meshes and hMSCs were prepared and confirmed. Eight week old male Sprague-Dawley rats were divided into 4 groups of 10 each, including sham operation (group 1), CN injury (group 2), hMSCs treatment after CN injury (group 3) and nano-hMSCs treatment after CN injury (group 4). Immediately after the CN injury in group 4, nano-hMSCs encircled the injured CN. Erectile response was assessed by CN stimulation at 2, 4 weeks. Thereafter, penile tissue samples were harvested and examined using morphological analysis and immuno-histochemical stain against nerves (nestin, tubulin βIII and map2), endothelium (CD31,vWF) and smooth muscle (smooth muscle actin). The results of the study revealed that at 2, 4 weeks, transplantation of nano-hMSCs increased the expression levels of cavernous neuronal, endothelial and smooth muscle makers more than hMSCs alone. 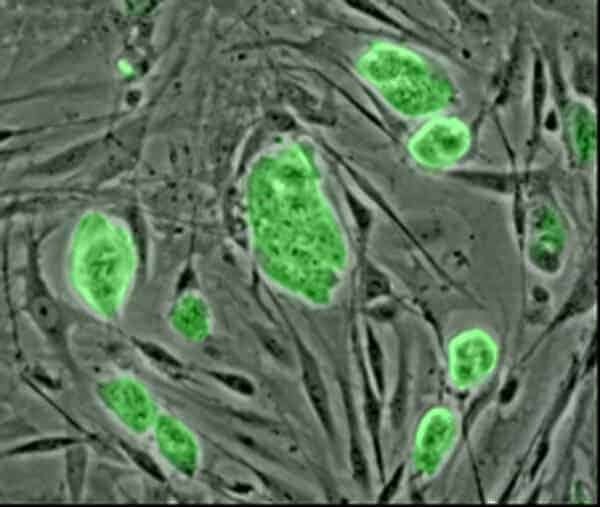 Additionally, nano-hMSCs increased the neuronal differentiation of mesenchymal stem cells more than hMSCs alone. At 2, 4 weeks, the mean percent collagen area of caversnosum increased following CN injury and recovered after transplantation of nano-hMSCs more than hMSCs alone. At 2, 4 weeks, the group with CN injury had significantly lower erectile function than the group without CN injury (p<0.05). The group transplanted with hMSCs showed higher erectile function than the sham operation group (p<0.05), whereas the group transplanted with nano-hMSCs showed higher erectile function than the group with hMSCs alone (p<0.05). The authors of the study concluded that nano-hMSCs differentiated into neuron-like cells and their transplantation repair erectile dysfunction in the rats with CN injury. These findings have high potential for the development of follow-up research projects.